With fine physical and chemical property, Stachyose, on ordinary conditions, will not react with other chemical substances such as food additives and host crystal, nor affect special smells and flavour of other substances; therefore, it is a good functional food addictive. In view that human intestines can’t digest galactosidase and Stachyose will not be destroyed in such organs as oral cavity, stomach and small intestine, nor enter into human body and rise blood sugar concentration; hence, on one hand, it can act persistently in order to increase of short chain fatty acid active matter in intestines and reduce cholesterol level and improve the gastrointestinal tract absorption of calcium and magnesium etc. ; on the other hand, it can reach the large intestine section, where useful bacteria exists, so as to improve proliferation of bacillus bifidus on a great extent. In conclusion, it is suitable for diabetics and will not produce adverse reactions to patients of aggregating burden on incretion. As to such useful bacteria as bacillus bifidus and lactobacillus in intestines, Stachyose will play a distinctive function on their proliferation which will improve the proliferation speed of bacillus bifidus as much as 40 times, so as to keep youthfulness of intestines, ameliorate interior environment of alimentary canal, and keep balance of micro-flora. Larger amount of proliferous bacillus bifidus and lactobacillus in intestines can be obtained through direct adjustment of the activity of p-hydroxyl-p-methyl glutaryl coenzyme A reductase, restrain synthesis of cholesterin and the newly formed low density lipoprotein receptor, therefore it will decrease the cholesterin content in blood distinctively. Additionally, through producing such substances as acetic acid and lactic acid, bacillus bifidus could accelerate activity of B lymphocyte and restrain growth of such putrefying bacteria as clostridium etc., which may produce gas and acid. Bacillus bifidus can decompose N-nitrosamine which may induce cancer in intestines and induce interferon synthesis and cell division promotion substance, activate nature killer cell and promote immunoglobulin antibody and macrophage, so as to advance immunological competence of body and enhance resistance against cancer. See the following figure for the working mechanism. In conclusion, with the character that it can’t be digested and used by human body, Stachyose can reach directly to intestines, be fully absorbed and used by bacillus bifidus for proliferation, thus form useful bacteria group, and produce various useful genes in order to keep body healthy. Under normal condition, Stachyose will not react with other chemical substances, such as food additives and host crystal, nor affect the unique smells and flavor of other substances; therefore, it is a good functional food addictive. With lower sugariness (0.28 times of that of cane sugar), it can be used on low sugariness foods or mask aftertaste of some artificial sweeteners such as glucide and phenylalanine. 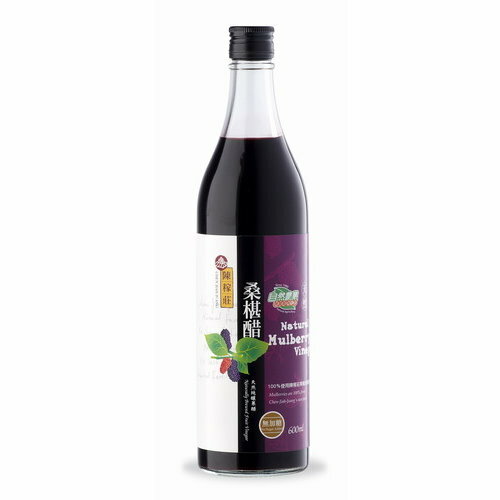 With viscosity and high hygroscopicity, it can help to increase taste and prevent dryness of food. In view that that it could not be digested by human body and without heat, Stachyose can be applied in production of required for diabetics. Under verification of toxicology, Stachyose is safe and credible without any toxin and side effect. With clear structure and distinct effect, it is the best choice for developing the third generation health food, which can be utilized in beverage, dairy products, cakes and ice-cream etc., so as to develop multi-functional foods catering to varied demands of consumers. ★ Application in developing health foods for ameliorating gastrointestinal tract functions as micro-ecological modulator and water-soluble dietary fibre. According to the composition, micro-ecological modulator can be divided into three varieties, namely, probiotic, prebiotic and symbiotic. Probiotic refers to intestines bacteria group that is useful to the host such as bacillus bifidus and lactobacillus etc. bacillus bifidus and lactobacillus. Prebiotic refers to selective substances useful for proliferation of a kind or some kinds of bacteria; Stachyose belongs to this variety. Symbiotic is the preparation of bacillus bifidus and lactobacillus together. Stachyose, as a single prebiotic, can accelerate proliferation of bacillus bifidus. If being used together with other prebiotic bacteria, it helps greatly on adjusting intestinal bacteria group, relieving constipation and it is good for keeping intestines youthful and perpetual healthy of human body. With the dual functions of being water-soluble dietary fibre and increasing bacillus bifidus, Stachyose can ameliorate intestines’ functions, shorten the transitional time of food, raise water content and restrain putrefying bacteria, decompose carcinogen, induce interferon synthesis and cell division promotion substance, activate nature killer cells and promote immunoglobulin antibody and macrophage, so as to ameliorate functions of gastrointestinal tract. It is reported that reduction of useful bacteria in intestines will lead to increase of synthesis and absorption of cholesterin. While, through increasing useful bacteria and decrease harmful bacteria, Stachyose can decrease the production of cholesterin. It is verified by the animal experiment that bacillus bifidus can directly affect activity of β- hydroxy-β-methyl glutaryl CoA reductase, restrain synthesis of cholesterin and reduce serum cholesterin. Besides, bacillus acidophilus has the function of absorbing cholesterin thus, restraining the absorption of cholesterin by small intestines wall and bearing some relations with the niacin produced from metabolism of bacillus bifidus and reduction of serum cholesterin. According to observation of Aeromedicine Institute of P.L.A. toward 83 hyperlipemia patients, whose keep taking Stachyose preparation for the purpose of reduction of blood fat, one patient takes 7.2 g per day, and after eight months, their cholesterin concentration and low density lipoprotein cholesterin in serum are reduced significantly. ★ Stachyose can increase the absorption of minerals and trace elements It is found that baby mice taking Stachyose for twenty days have higher mineral and trace element contents, such as calcium and iron etc. ; there is also an increase of minerals and trace elements in ash of burned femur. Stachyose can elevate absorption of minerals and trace elements of body which is considered to be relevant with elevation of L-lactic acid in cecum. ★ Stachyose can be taken as assistant health food for patients with high blood pressure It is showed in experiments on human that: patients with high blood pressure continued taking 10 g stachyose for six weeks, their diastolic pressure is reduced to 799．7 Pa (about 6 mm Hg). Another experiment shows that the degree of diastolic pressure has negative correlation with proportion of bacillus bifidus in bacteria in feces, e.g. the more bacillus bifidus in feces are, the lower diastolic pressure is. Therefore, stachyose’s function of reducing blood pressure is realized through accelerating proliferation of bacillus bifidus. Stachyose can accelerate discharge of toxic metabolites, reduce their re-absorption and entry into blood and the biotransformation by liver, so as to relieve the burden of liver for decomposing toxin. It is testified that: an old patient with hepatocirrhosis keeps taking 3g stachyose for about seven days, his liver performance and constipation symptom are eased. Thickness of toxic metabolites in serum and urine decreased greatly to normal and nearly normal level, the disease is eased and appetite is increased. Besides, other experiments verified that: Stachyose plays a preventive function on HE/SHE (hepatic encephalopathy/ subclinical hepatic encephalopathy) by reducing absorption of ammonia in intestines. It is found that in investigation of long-lived 90～105-year-old people, the number of bacillus bifidus and lactobacillus is much more and the number of bacterioide, clostridium, peptococcus and bacillocin is much less. It is testified by animal experiment, intestines bacteria group is closely related with health and longevity. Under experiment, scientists found that ammonia, amine, helium sulphide, hydroxybenzene, Steroid and bacteria toxin, resulting from nitrogen compound such as protein and amino acid being metabolized by putrefying bacteria, will lead to many kinds of disease, which may accelerate caducity and affecting longevity. After taken stachyose, putrefying index in intestines of elder group -β glucuronidase and content of ammonia is reduced clearly and fermenting product, indole and p-cymene hydroxybenzene of spoilage bacteria is reduced distinctively. As the saying “Clean intestine makes longevity”, Stachyose plays a distinctive physiological function on this aspect. ★ Application in developing health food for patients having been taking bacteriophage, recovering after surgery and receiving chemical-treatment With various reasons, some patients need to take bacteriophage, especially broad spectrum antibiotic for long time. A distinctive side effect of long-term medicine taking is heavy maladjustment of normal bacteria group, because while killing harmful bacteria, bacteriophage kills a great many bacteria useful to human body, which may engender dysfunction of intestines and dyspepsia. In surgery recovery period, while taking a great deal broad spectrum antibiotic to resist infection the action is so a few, which may slow intestines peristalsis, maladjustment of intestines group, astriction and low immunity, being harmful for recovery of patients. Chemical-treatment of cancer patients also exist the same thing: while killing cancer cell, radiation killed many probiotic bacteria which is sensitive to it. Hence, adding Stachyose is helpful for recovery of probiotic bacteria and corrects maladjustment of intestines bacteria group. With fine effect of relieving constipation, Stachyose could reduce staying period of residue in intestines and lessen the chance of lead absorption in intestines. After lead is discharged through digestive canal, accumulation of lead in the body will be reduced, then lead in emiction will also be reduced. At the same time, it can combine with the lead entering into intestines through gall excreting, and then stop its absorption. Lead content in gall content is 40—100 times higher than that in blood, and that surplus amount of lead will be discharged out of body by stachyose, which is the most possible way for reducing lead accumulated in body through taking stachyose. Besides, through adjusting intestines bacteria group, Stachyose can reduce PH value of intestines and promote the absorption of such elements as calcium and iron over the absorption of lead. Elasitn/laminin receptor is a kind of protein compound on surface of animal cells, which exists on surface of cells which may produce elasitn, such as surface of fibroblast, chondroblast, blood vessel sarcogenic cells, monocyte, neutrophilic granulocyte, activated lymphocyte and surface of many kinds of cancer cells such as melanoma, mastadenoma, lung tumor etc. Elasitn/laminin receptor is consisted of three subunits, namely two protein subunits closely combined with cell membrane (the molecular weight is 55 KD and 61 KD separately and a protein subunit around membrane with molecular weight of 67 KD which is also called “Elastin-binding Protein, EBP”. Under research, it is found that Stachyose after combined with elasitn/laminin receptor, may lead to breaking of subunit of EBP away from compound of the receptor, then to stop biological reaction induced by elasitn/laminin receptor. This character provides a novel prevention and cure method on diseases relevant with activation of elasitn/laminin receptor such as chronic inflammation, dedifferentiation of connective tissue, deepening of inner membrane of blood vessel, atherosclerosis, tumour cell transferring etc. Stachyose finds good application in skin health protection and anti-aging, with the main performance is embodied on maintaining flexibility and plasticity of skin. It is verified by experiments of foreign countries that stachyose, through reducing hydrolyzing of tissue elastin and hyaluronic acid between skin cells, realized the effect of maintaining flexibility and plasticity of skin. Therefore, this medicine has fine application value on developing new medicine and makeup. In the course of coming on of most chronic inflammation such as stomatitis, emphysema and osteoarthritis, inflammation cells or damaged tissue cells will release various proteolytic enzyme, engendering hydrolyzing of fibrinous in intercellular substance and producing activated polypeptide section, which can combine with elasitn/laminin receptor on the surface of activated leucocyte, monocyte and lymphocyte, then induce production and releasing of various proteolytic enzyme and free radical and harming tissue cells further. Stachyose, through interdiction and change of elasitn/laminin receptor can realize the function of easing and curing such inflammation. Tumour transfer is the main manifestation of tumor aggravation, which shows not only distinctive weakening of recovery mechanism but the more difficult cure; therefore, preventing effectively tumour transfer is the key to tumour cure. Some experiment shows Stachyose can restrain tumour cells transfer to lung, the function may be relative with the fact that it can stop the adjustment of regenerative feedback, a compound excretion of proteolytic enzyme induced by elasitn/laminin receptor on surface of tumour cells. Nevertheless, such concrete function of Stachyose remains to be further researched. Stachyose has fine solubility and good infiltration effect in low concentration liquid, free from irritation to the skin, which helps to maintain skin flexibility and plasticity. Using together with other anti-free radical substances, it will bring distinctive effect in skin health protection and anti-aging. The purpose of adding functional oligosaccharide into feedstuff, which is a very important part in feedstuff industry, is to improve the quantity of probiotics inside animals’ bodies as well as their disease resistance and absorption of mineral elements. There are two methods for its application: one is directly using residue materials after extracting Stachyose as their food; the other is adding Stachyose with the quantity of 0.1—0.3% into the feedstuff. At present, Stachyose produced by means of industrialized processing is extracted by using plants as the raw materials through water dissolving method, a process without any organic solvents and its residues mainly including cellulose and pectin and about 0.5% stachyose, which can be directly used as animals’ food after drying. This is a dramatic advantage of the industrialization of stachyose, which can bring huge economical and social benefits not only to the comprehensive use of raw materials, increase of peasants’ income and promotion of their production enthusiasm as well as vegetation protection. At present, although there are not many enterprises engaged in producing Stachyose and its application is limited as well, as a functional oligosaccharide of a new generation, more attention has paid to its application value and economic benefits. Stachyose is extracted from a special vegetable in our country with the purity of over 80%, higher than that of 30% extracted from soybeans abroad. Besides, with the characteristics of defined functions, limited dosage and advantages over other oligosaccharide, Stachyose can be well used along with the development trend of food industry, medicine industry, cosmetics industry, light industry and feedstuff industry. It is believed that Stachyose will be even more widely used along with the development of technology as well as the improvement of people’s awareness. Stachyose with the purity over 96% can be widely used in hi-tech fields of airspace, aviation, metallurgy, etc. According to the document retrieval, available patent techniques related to Stachyose in America reaches to more than 300, most of which are applied in airspace, aviation and metallurgy. However, there’re less than 30 in our country, Ltd. It can be inferred that R&D of Stachyose as well as its application faces a brighter future in China.